W. W. Norton & Company, 9780393329049, 315pp. 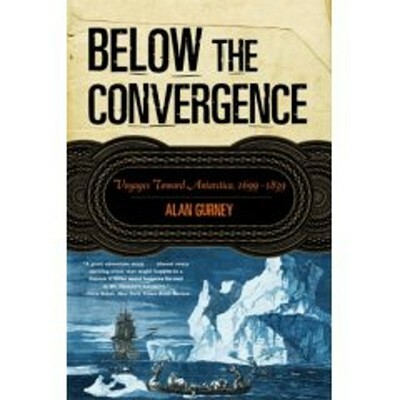 This wonderfully written book tells of the first Herculean expeditions to Antarctica, from astronomer Edmond Halley's 1699 voyage in the Paramore to the sealer John Balleny's 1839 excursion in the Eliza Scott, all in search of land, glory, fur, science, and profit. Life was harsh: crews had poor provisions and inadequate clothing, and scurvy was a constant threat. With unreliable often homemade charts, these intrepid explorers sailed in the stormy waters of the Southern Ocean below the Convergence, that sea frontier marking the boundary between the freezing Antarctic waters and the warmer sub-Antarctic seas. These men were the first to discover and exploit a new continent, which was not the verdant southern island they had imagined but an inhospitable expanse of rock and ice, ringed by pack ice and icebergs: Antarctica.